Welcome to Red Fire Boston Terriers, a Bremer Kennels website. 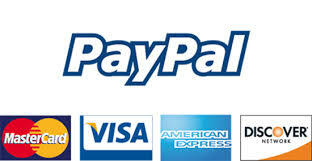 We are located in Azle, TX, 20 miles west of Fort Worth (Dallas/Fort Worth Metroplex). We have been breeding Bostons for nearly 14 years. We now have different colors, not just red and white. We have black and white, brindle and white, red and white and cream and white. Our Bostons range from 18 to 22 pounds. They are very healthy and friendly. We take pride in providing great companions to our customers, and we make sure we take great care of our adult dogs as well as our puppies. We are now licensed by the State of Texas and the USDA (US Department of Agriculture)! We have changed our health guarantee to two years. You can either use the Nuvet Plus Vitamins or Life’s Abundance All Stage Dog Food to keep the health guarantee valid. Both products are fantastic! If you have any questions or if you need more information or pictures of any of our puppies, please email us or give us a call. We look forward to serving you and providing you with the best companion!! The Boston Terrier is a breed of dog originating in the United States of America. This “American Gentleman” was accepted in 1893 by the American Kennel Club as a non-sporting breed. Color and markings are important when distinguishing this breed to the AKC standard. They should be either black, brindle or seal with white markings. Bostons are small and compact with a short tail and erect ears. They are intelligent and friendly and can be stubborn at times. The average life span of a Boston is 15+ years. The Boston Terrier breed originated around 1870, when Robert C. Hooper of Boston purchased a dog known as Hooper’s Judge, who was of a Bull and Terrier type lineage. Judge’s specific lineage is unknown; however, Hooper’s Judge is either directly related to the original Bull and Terrier breeds of the 18th and early 19th centuries, or Judge is the result of modern English Bulldogs being crossed into terriers created in the 1860s for show purposes, like the White English Terrier. Judge weighed over 29.7 pounds (13.5 kilos). Their offspring interbred with one or more French Bulldogs, providing the foundation for the Boston Terrier. Bred down in size from pit-fighting dogs of the Bull and Terrier types, the Boston Terrier originally weighed up to 44 pounds (20 kg.) (Olde Boston Bulldogge). The breed was first shown in Boston in 1870. By 1889 the breed had become sufficiently popular in Boston that fanciers formed the American Bull Terrier Club, but this proposed name for the breed was not well received by the Bull Terrier Fanciers; the breed’s nickname, “roundheads”, was similarly inappropriate. Shortly after, at the suggestion of James Watson (a noted writer and authority), the club changed its name to the Boston Terrier Club and in 1893 it was admitted to membership in the American Kennel Club, thus making it the first US breed to be recognized. It is one of a small number of breeds to have originated in the United States. The Boston Terrier was the first non-sporting dog bred in the US. 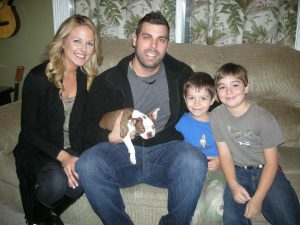 Jordan Walden, a professional baseball player, got his Boston Terrier from Bremer Kennels, www.redfirebostonterriers.com. In the early years, the color and markings were not very important, but by the 20th century the breed’s distinctive markings and color were written into the standard, becoming an essential feature. Terrier only in name, the Boston Terrier has lost most of its ruthless desire for mayhem, preferring the company of humans, although some males will still challenge other dogs if they feel their territory is being invaded. Boston University’s mascot is a Boston Terrier named Rhett. The Boston Terrier is characteristically marked with white in proportion to either black, brindle, seal, or a combination of the three. Seal is a color specifically used to describe Boston Terriers and is defined as a black color with red highlights when viewed in the sun or bright light. Black, Brindle, and Seal (all on white) are the only colors recognized by the AKC. 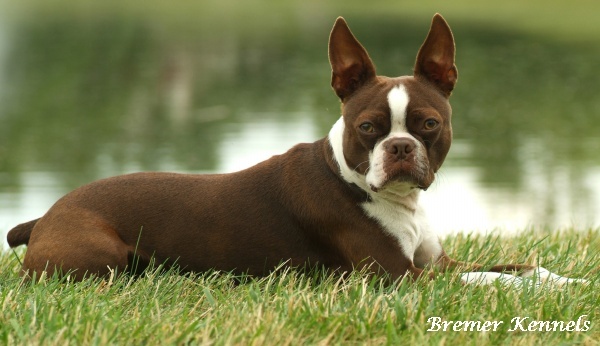 There are also liver, brown, cream or red and white Boston Terriers, however these marking are more rare than the others listed above, and are disqualified from AKC events. If all other qualities are identical, brindle is the preferred color according to most breed standards. Both females and males are generally quiet and bark only when necessary. Their usually sensible attitude towards barking makes them excellent choices for apartment dwellers. Having been bred as a companion dog, they enjoy being around people, and if properly socialized, get along well with children, the elderly, other canines, and non-canine pets. Some Boston Terriers are very cuddly, while others are more independent. They are also highly intelligent. Bostons, along with Pug, Shih Tzu and other short-snouted breeds are brachycephalic breeds. The word comes from Greek roots “Brachy,” meaning short and “cephalic,” meaning head. This anatomy can cause tiny nostrils, long palates and a narrow trachea. Because of this, Bostons may be prone to snoring and reverse sneeze, a rapid and repeated forced inhalation through the nose, accompanied by snorting or gagging sounds used to clear the palate of mucus, but does not harm the dog in any way.